When Ethan was born and then diagnosed with Down syndrome, I knew that I would never take him to a therapist, a school or a doctor that I didn’t think “got him”. Of all the emotions I felt when he was born, the one most fierce was of protection. Although I needed the opinions and expertise of many medical and developmental professionals, I ultimately felt a sense of great responsibility for the decisions that would be made for him. He needed me to advocate the best I could for him and I believe that Ethan made me radical. He required “out of the box” thinking, and often times I was challenged for it. Everytime we chose a school setting for Ethan, I knew in the back of my mind that I would keep him home with me before I would put him somewhere less than what I wanted and he needed. He has always required and thrived on very strong structure and school fit that need best. When we found Midland, we knew that it was perfect for him! Midland can meet his educational needs and support us in providing the real life skills we are looking to develop in him. They promote a social life for the kids that is fantastic. Each time I call to report that Ethan will be out because we are headed out on a family outing – they wish us a good time. It’s a good match for us. Gavin came along and soon became preschool age. Mikey joined our family through foster care and at just two years apart they were fabulous playmates. I was also caring for my sisters kids in a daycare situation and the days were perfectly delightful. I had a house full of all these little learning, playing, happy children. I went to look at preschools and realized they couldn’t give him one more thing than we already had. 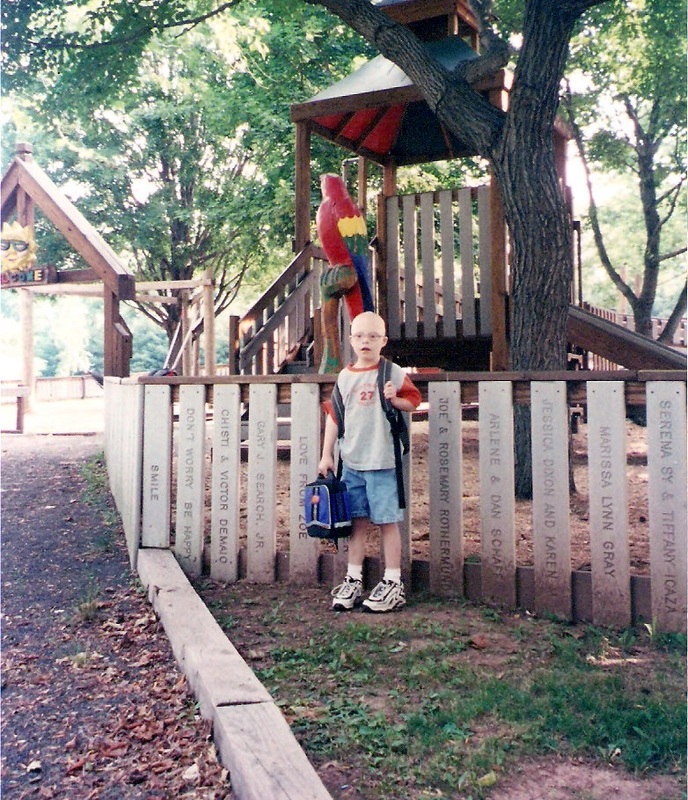 When it came time for kindergarten, I did not believe that going to school was going to provide a more rich, educational environment than he was already experiencing. We were going to zoos, museums, parks, nature centers, and libraries and he thrived on that. I was able to witness first hand, the excitement each time he figured something out and put the pieces together. Gavin was beginning to read, and asking tons of questions. Both boys were participating in church programs and sports and were making friends at these activities and in the neighborhood. I got to witness, first hand, what they were learning all on their own. I did not want to change “a good thing”. Although Dennis and I are opposed to many things presented in the public school setting, we view homeschooling as a way to introduce our kids to the world, not keep them from it. We have approached homeschooling from a standpoint of what we are able to give them – freedom, flexibility, time and creative ways to get information that interests *them*. We want to give them a chance to spend their days more connected to the members of our own family and their own lives rather than an outside forces (school). We did not want our evenings filled with homework requirements and due dates. As someone who is self-taught in his profession, Dennis strongly felt that “school” was not the only way to become “educated” and that when you are actually motivated to learn something it is much more effective than being told what and when you will learn. I disliked school and often wished for something other than 4 walls and textbooks. I felt that school had squelched my interest to learn and I did not want to put my boys at risk for that. The time to send Gavin to kindergarten came and went. So did the time for Mikey to go. We continued to shop, cook, catch bugs, take classes, read, write and tell stories, play games, do puzzles, paint, sing, play board games and cards, build legos, participate in Cub Scouts and live together as a family in the best way we are able to each day. Homeschooling has allowed us to live a more simple, less stressful lifestyle. Our boys are good friends. We get more sleep and have alot more fun. I feel really fortunate to be living and learning like this. I wrote this from my point of view, but I am very thankful that Dennis and I have always been like-minded on this issue. *I read this recently with the intentions of updating it – but I think it really captures the essence of what we love about homeschooling. The boys are older, but as we continue to assess what they need, homeschooling remains an excellent fit for them.